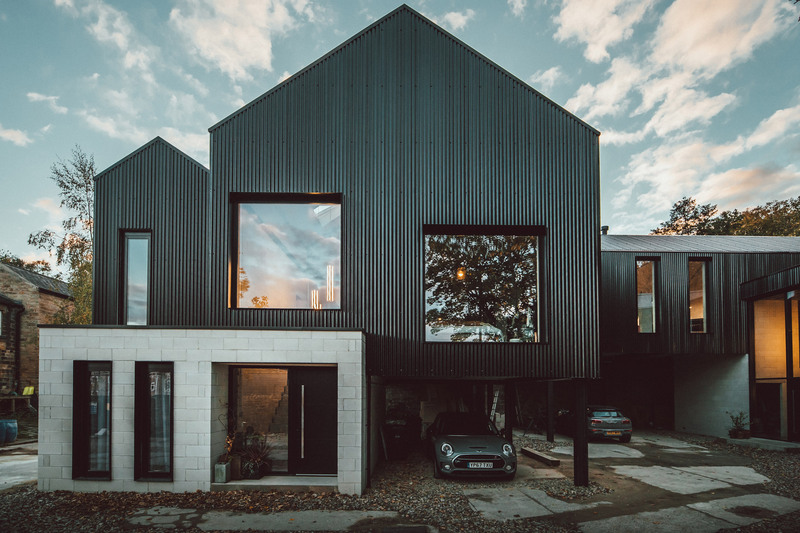 CODA Bespoke has created a pair of matching black houses in Sheffield, England, for graphic designer twins Nik and Jon Daughtry. 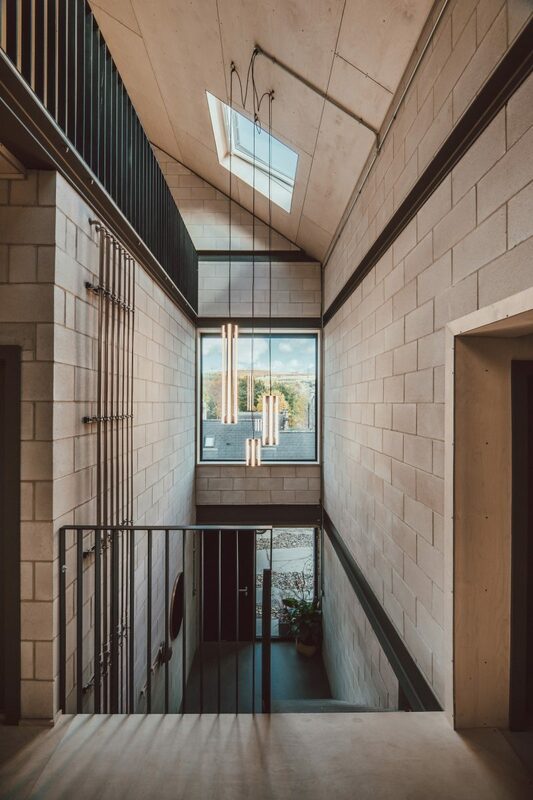 Sheffield-based CODA Bespoke collaborated with the Daughtrys to create the two neighbouring houses, called Twin-build, that share an aesthetic. 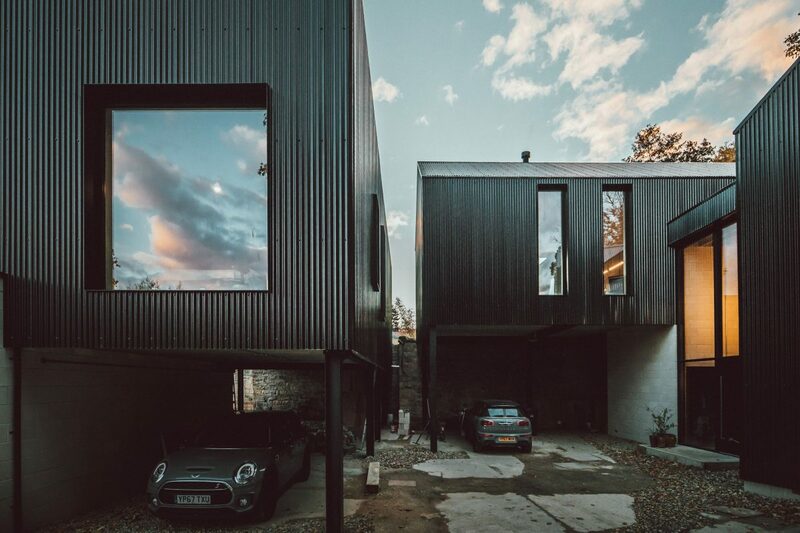 Located on the site of an old corn mill, alongside the the millpond that used to drive it, the matching homes are both finished with black corrugated steel cladding. However, to ensure the Twin-build dwellings each have their own character, they are differentiated by their layouts and orientations. 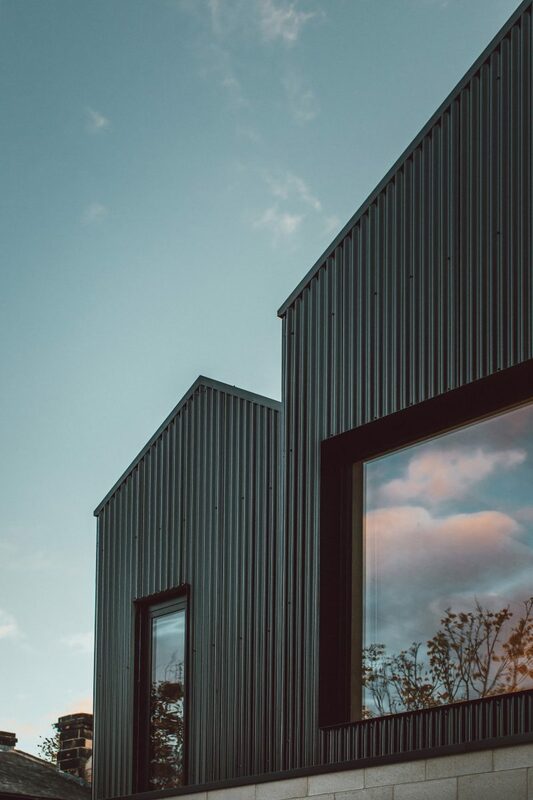 “There was an importance to create homes that share the same DNA, but that each have different personalities, like twins”. 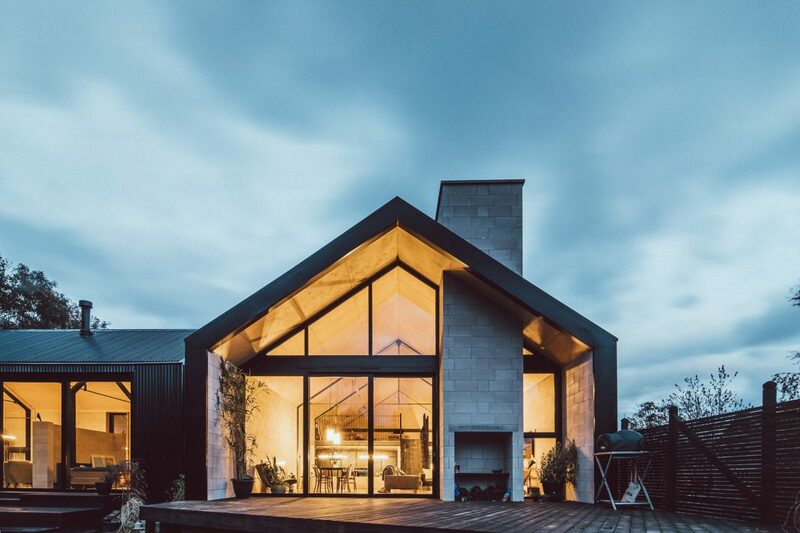 “The simple rotation of the main body of the buildings, so that Jon’s gable faced the pond and Nik’s didn’t, transformed the way the homes flow internally and gave each home its unique feel”. 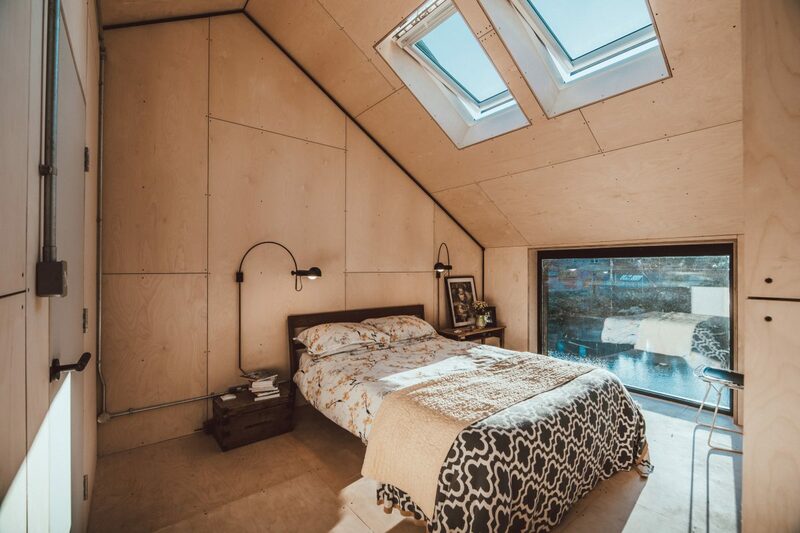 Both houses in Twin-build have five bedrooms and three bathrooms, with the first floors elevated on steel stilts. This aligns the living spaces with the top of millpond’s supporting wall, maximising views of the water. 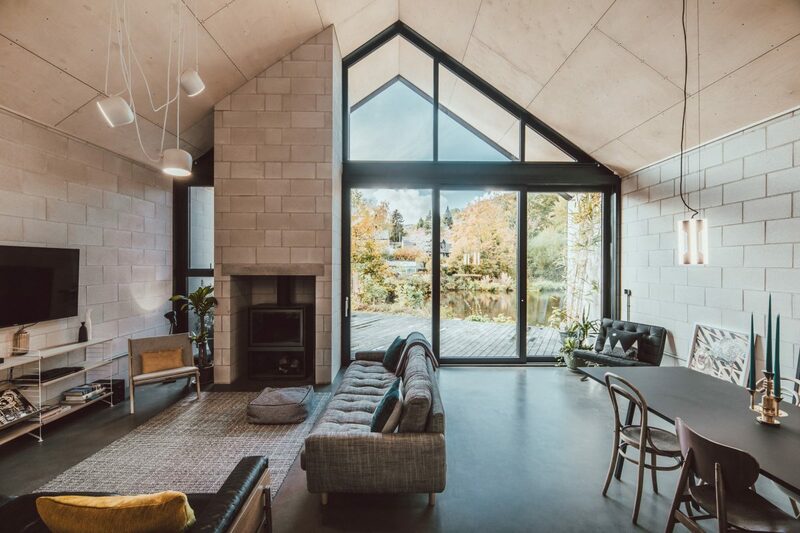 Elevating the first floors in this way also enabled the twins to create a shared outdoor area for the families, which connects with the pond and is complete with a wood-fire oven. 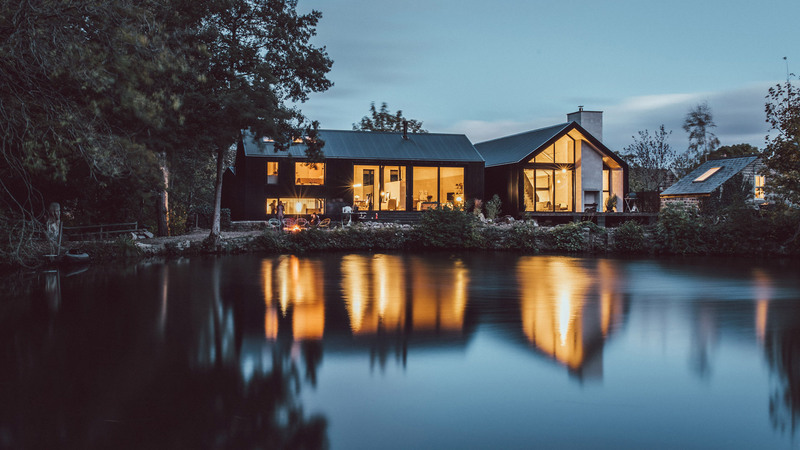 Twin-build’s smaller house, owned by Jon Daughtry, looks out onto the millpond through a large glazed gable end with an inbuilt blockwork chimney. 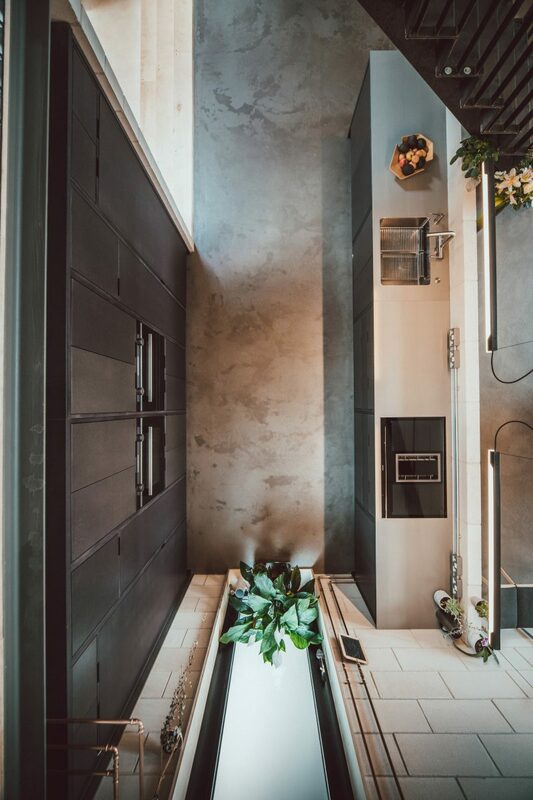 It sits at the end of the double-height and open-plan living room on the first floor, which steps down to an adjoining kitchen, three bedrooms and two bathrooms. 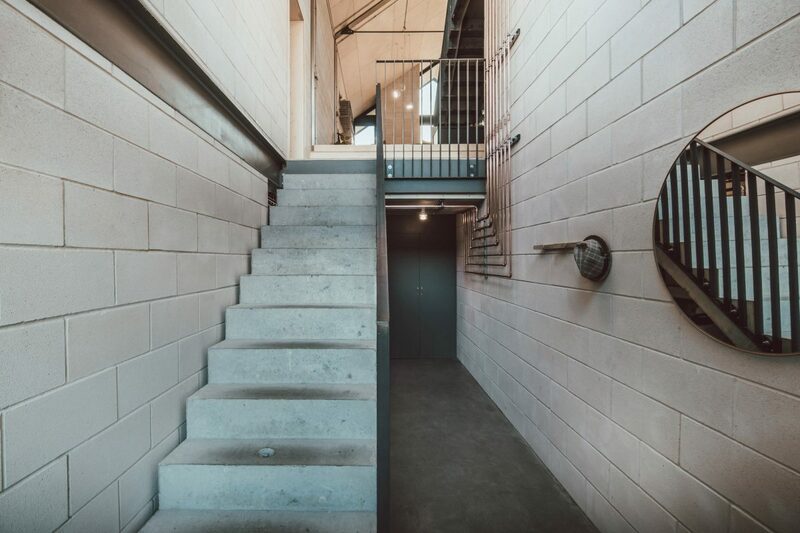 There is also access to mezzanine level above that hosts a study. 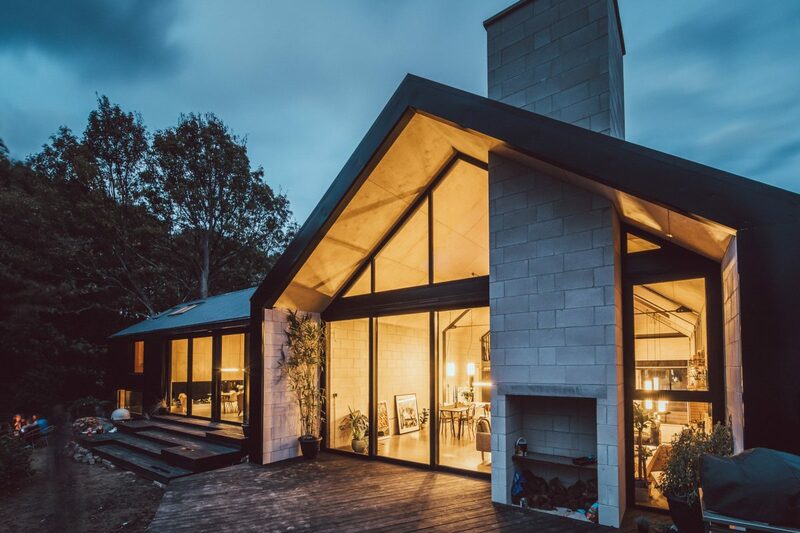 The first floor overhangs the ground floor, which has a large entrance hall and a further two bedrooms and a bathroom. 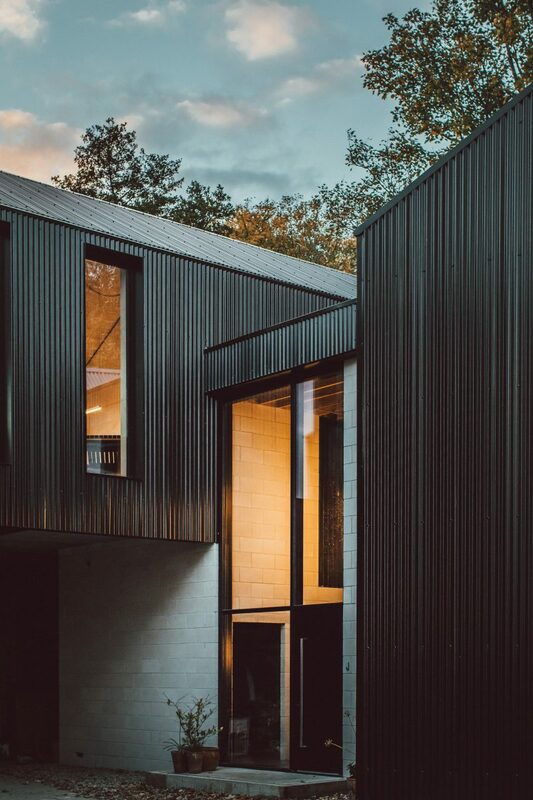 Nik Daughtry’s house, the larger of the two, is divided into two linked volumes set askew. The ground floor comprises two bedrooms and a bathroom, alongside a cinema room and utility room. 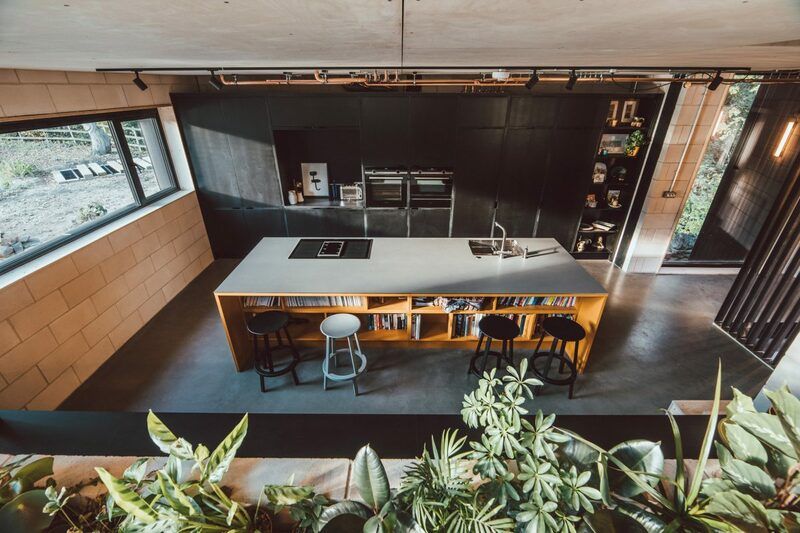 Above, a cantilevering first floor also features a double-height open-plan dining and living area, with steps down into a kitchen. 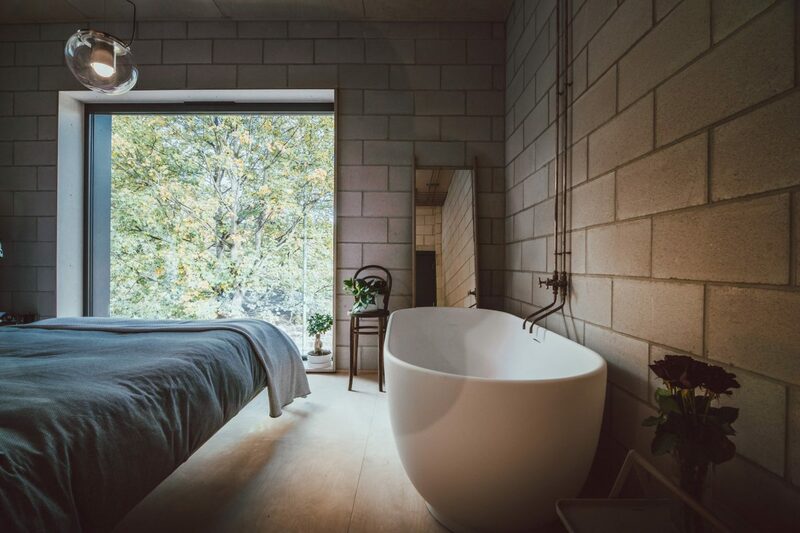 Across the corridor there are a further two bedrooms and a bathroom, while the second floor hosts the ensuite master bedroom. 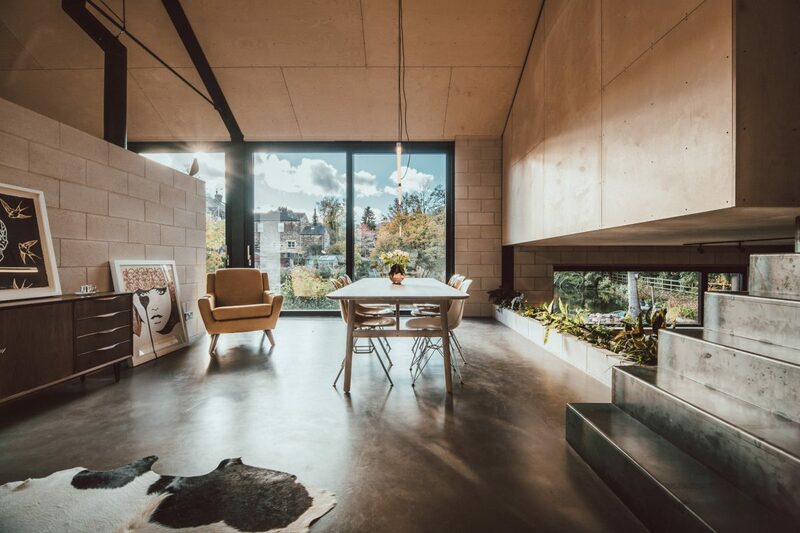 Twin-build’s interiors adopt identical material palettes, dominated by the use of untreated steel, concrete and plywood. 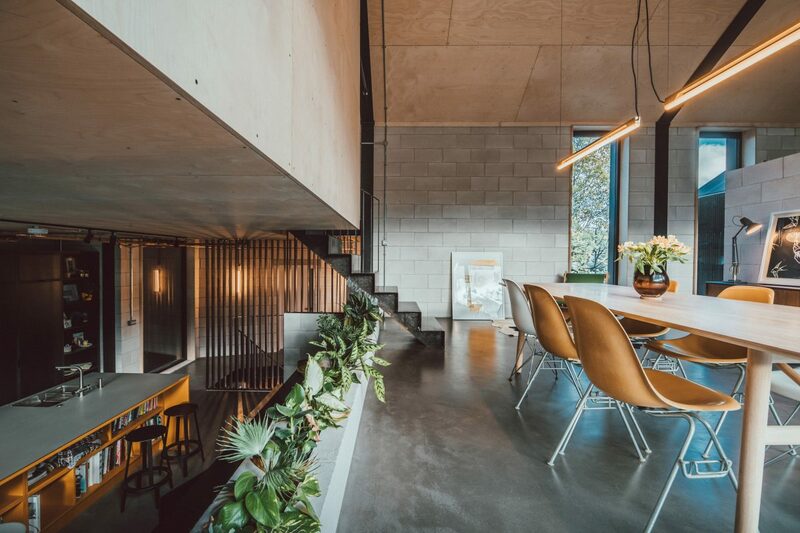 They are fitted out with exposed copper plumbing and galvanised conduit, which end at light fittings design by the twins as part of their design agency, DED, in collaboration with Tyson Studio. 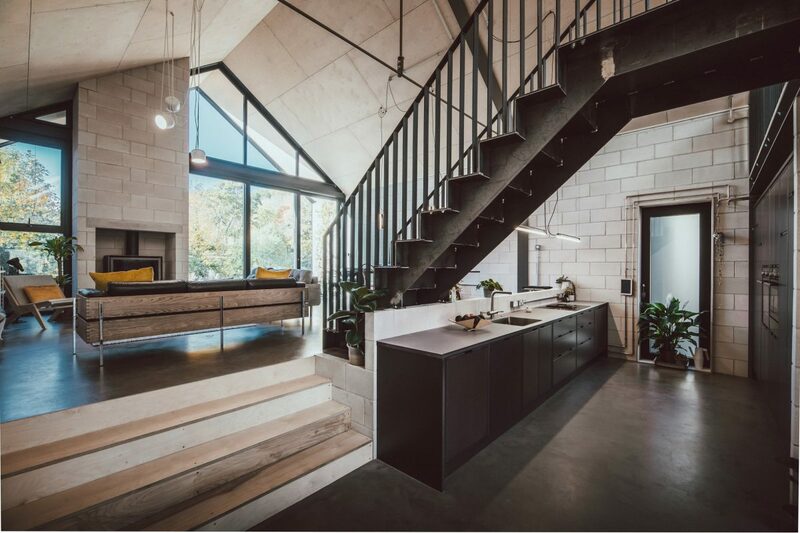 “We used concrete blocks plywood and steel to nod to the site’s industrial heritage, but to also create low maintenance homes,” Nik Daughtry added. 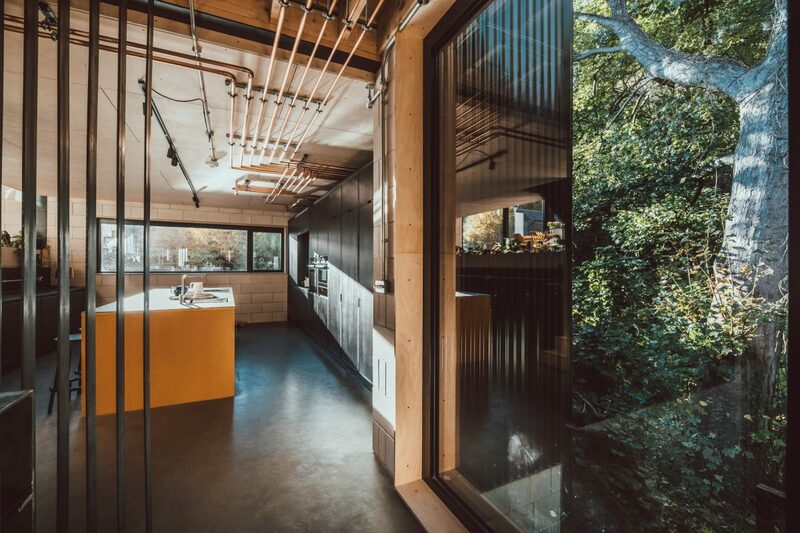 Both houses are also designed to function sustainably, with a super insulated structure and energy for underfloor heating and hot water systems acquired through hydropower from the millpond.